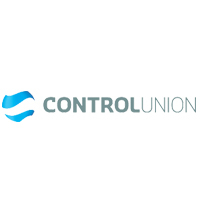 Control Union Certifications is active in the field of the inspection and certification in organic and sustainable agricultural, forestry and textile industry. We offer a global one-stop-shop for a wide range of certification programmes including the key organic (EU, USDA NOP, JAS) ones and all major and recognised programs. Our professional staff helps you to find the right one for your operation. We operate in all continents and our local offices can deliver you the same high level services. Our certificates are accepted by authorities and brands in nearly every country. We understand the importance of impartiality and objectivity.